Looking for more inspirational movies like The Shack? Check out these 5 dramas that delve deep into the human spirit. 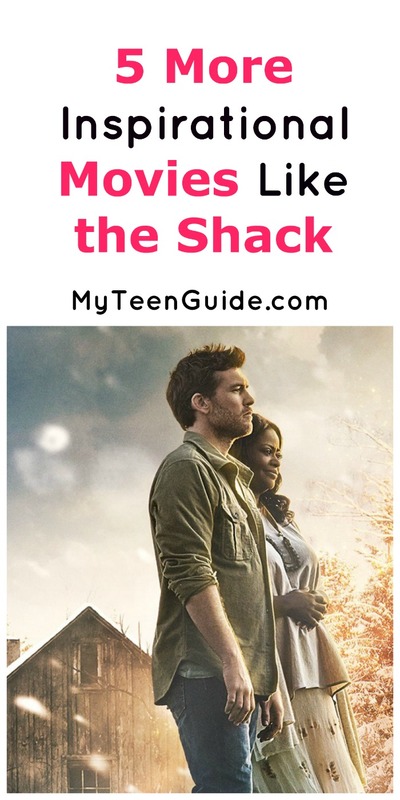 If you haven’t heard of it, The Shack is a 2017 faith-based drama movie that will be released in theaters on March 3, 2017. It is based on the 2007 book of the same name by William P. Young. The Shack is set to star Sam Worthington as Mack Phillips, Octavia Spencer as Papa and Graham Greene as Male Papa. Here are some other movies like The Shack. Reservation Road is a 2007 drama movie that is based on the 1998 book of the same name by John Burnham Schwartz. The movie focuses on the story of Dwight Arno and his ex-wife, Ruth Wheldon and Ethan Learner and his wife, Grace Learner. When Dwight is driving his son, Lucas, home to his mother one night, he accidentally, but knowingly strikes and kills a young boy, Josh Learner. Josh’s father, Ethan Learner, will not rest until his son’s killer is brought to justice. Reservation Road stars Mark Ruffalo as Dwight, Mira Sorvino as Ruth, Joaquin Phoenix as Ethan and Jennifer Connelly as Grace Learner. The Lovely Bones is a 2009 supernatural drama movie that is based on the 2002 book of the same name by Alice Sebold. The movie showcases the life of Susie Salmon, a young teenager who is murdered by her neighbor, George Harvey. As she watches down on her loved ones, Susie must decide what she wants more: vengeance against George or for her family, Jack, Abigail and sister, Lindsay. The Lovely Bones stars Saoirse Ronan as Susie, Stanley Tucci as George, Mark Wahlberg as Jack, Rachel Weisz as Abigail and Rose McIver as Lindsay. Courageous is a 2011 Christian drama movie. The movie centers on the lives of 4 police officers: Nathan Hayes, Adam Mitchell, Shane Fuller and David Thompson. After Mitchell’s young daughter is killed by a drunk driver, the four struggle with their faith and their personal lives. Ultimately, they make a decision together that will change each of their lives forever. Courageous stars Ken Bevel as Nathan, Alex Kendrick as Adam, Kevin Downes as Shane and Ben Davies as David. God’s Not Dead is a 2014 Christian drama movie that is based on the 2013 book titled God’s Not Dead: Evidence for God in an Age of Uncertainty by Rice Brooks. The movie tells the story of Jeffrey Radisson, a college philosophy professor, who is an atheist. Radisson teaches his students that God is a pre-scientific fiction, but is challenged on that when Josh Wheaton, one of his students, believes that God does exist. God’s Not Dead stars Kevin Sorbo as Jeffrey and Shane Harper as Josh. Collateral Beauty is a 2016 drama movie. The movie centers on, Howard Inlet, who is dealing with the tragedy of his young daughter’s death. Questioning the universe, Inlet begins writing letters to Love, Death and Time. Collateral Beauty stars Will Smith as Howard. Have you seen any other great movies like the Shack? Share in the comments!